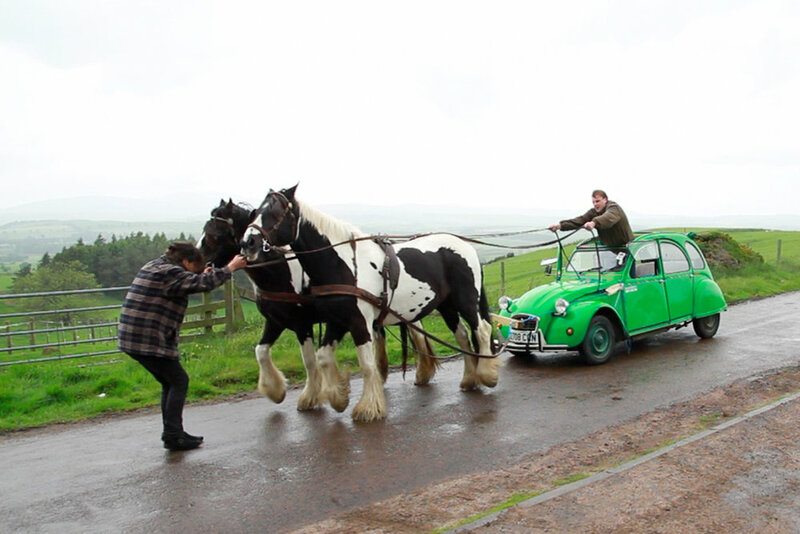 Deux Chevaux is the attempt of two horses to pull a two horsepower Citroen 2CV. The performance considers the delicate juncture between natural and mechanical languages of power, precariously joined together in an unpredictable experiment likened to a modern day Frankenstein. Image: Deux Chevaux, HD video, 6:48 min.